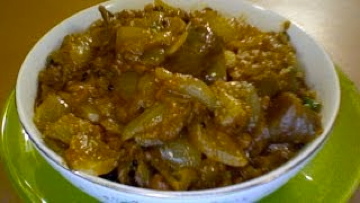 Bottle gourd curry with milk is a tasty and kids friendly recipe. It is very easy to make and good for every day cooking. Wash & peel bottle gourd. Cut it into small pieces. Cut cilantro or coriander leaves finely. Cut green chili into length wise. Keep a thick bottom pan on a medium flame. Add oil to the pan. When the oil is hot add chana dal, urad dal, mustard seeds, cumin seeds and green chilies. Saute for a few seconds. Add hing(asafoetida) and curry leaves. Then add bottle gourd pieces and turmeric powder and give a stir. Add milk and and give a stir again. Cover it add cook on medium flame for 5 minutes. After 5 minutes open the lid and give a mix. If it still needs to cook let it cook for few more minutes. If it is dry add a little more milk. After 3-4 minutes check again. It should be done by now. Sprinkle besan on the top of the curry and give a mix. If there is any moisture this will take the moisture away. Add some salt also and mix it well. If you like, you can add a little bit of sugar or jaggery. Finally add cilantro and top it with 1 tsp of ghee for a wonderful flavor. Serve it hot with whole grain brown rice or chapati. Do not add salt in the beginning. Because this curry is going to cook with milk, if you add salt it leaves water. Since this curry is cooking with milk it adds more nutrition. Bottle is cooling for the body and it is diuretic. It is very popular in controlling high blood pressure and keeps your heart healthy. Please feel free to add your comments and suggestions.